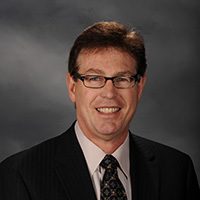 Dr. Brent Kelly is Principal Analyst at KelCor, Inc. where he provides strategy and counsel to CxOs, investment analysts, VCs, technology policy executives, sell side firms and technology buyers. He is a passionate end-user advocate. Brent has made measurable real-world contributions in the telecommunications, manufacturing, electronics, oil field services, chemicals, and mining industries. He has worked at numerous R&D facilities, including a four-year assignment in Europe. Brent has a strong background in numerical methods and applied artificial intelligence along with significant experience developing IoT solutions. He has written hundreds of articles and reports in the unified communications and collaboration industry and regularly delivers webinars and thought leadership addresses at public and private events. Brent has a Ph.D. in chemical engineering from Texas A&M University and a B.S. in chemical engineering from Brigham Young University. He has served two terms as a city councilman in his Utah community. He is an avid outdoorsman participating in cycling, backpacking, hiking, fishing, and skiing. He and his wife own and operate a gourmet chocolates manufacturing company.